Japanfest is this weekend, and is one of the more pleasing events I’ve experienced. It is being held at the Gwinnett Convention Center, just off Sugarloaf Parkway. It is a spectacle of sight and sound, people dressing in silly ways, whole families mingling with the young and old. Some of most precious memories of the festival are my daughter and a friend of hers being dressed in a kimono. 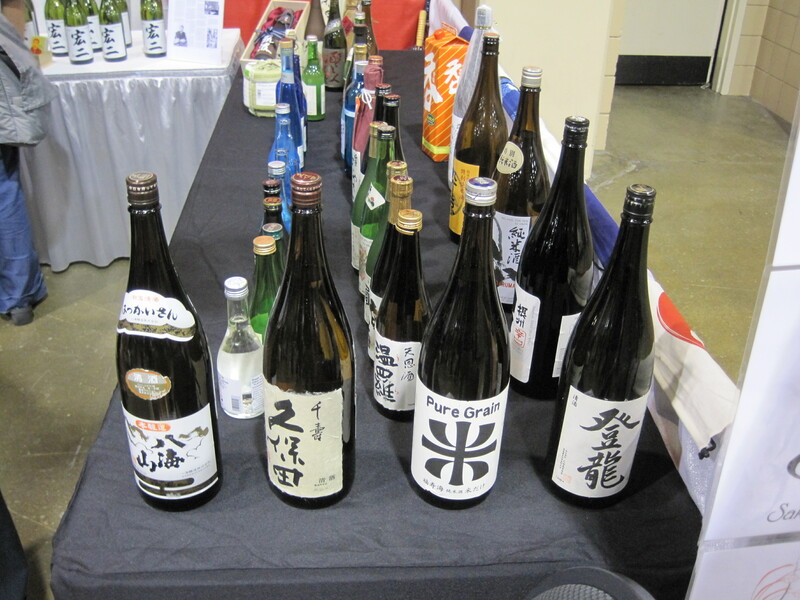 A sample booth from a previous Japan Fest. ‘Sold out’ is more common than you think. get there early, get in line and eat! More than just food is available. For the foodie: a list of vendors and the foods they will serve is here. Note it’s a pretty simple menu. Arrive early, on Saturday. Eat as soon as the booths open and don’t expect any popular dishes to be around for much more than an hour or two. Expect long lines at the best booths. Saturday is the better day of the two. Sunday will be good for a couple hours, then the booths and exhibits begin to go away. For the newbie: because the foods are simple and easy to eat, if you can stand the bustle and the crowds, this is a very gentle introduction to Japanese cuisine. Off Topic: Shizuo Tsuji it turns out, has a second cookbook other than the one mentioned here. A review will becoming soon. The surgery was a success, and the boot is gone. There are lingering pains here and there, but I can fit into a shoe for the first time in months, as opposed to wearing slippers. I can be decent company for someone going out. That’s definitely a plus. So I went out, tried Kampai, a steak, seafood, and tapas joint, in Lawrenceville, located where the On the Border used to be. Nice place, I liked it. Photos and a review shortly. My boonie peppers are alive but not doing well. Some may have died. I need some warmer weather, about 80 during the day and better than 50 at night to be sure. Till then I water them and keep my fingers crossed. The New York Times has an interesting article on the effects the lack of slaughterhouses have on the locavore movement. Higher slaughterhouse standards are causing slaughterhouses to close. Therefore, farmers trying to supply regional meat are having to book time for slaughter before animals are being born. Finally a pic. I got a new scale – the Ozeri – that could weigh to the gram. The spice mill I finally devoted to sichuan pepper left my daughter bereft. Before, the mill had black pepper and she was enjoying being able to grind her own. I bought another. I’ll make sure that one stays pepper oriented. 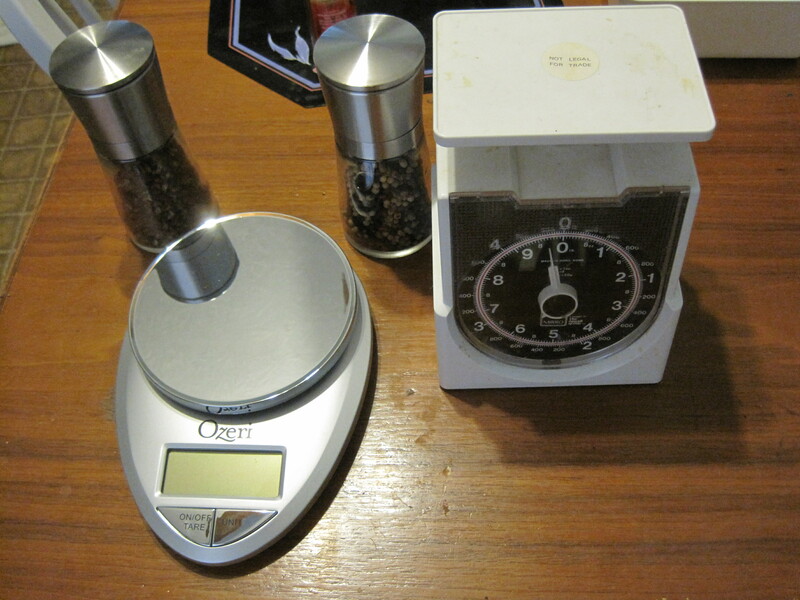 Ozeri scale versus the one we've had for 25 years. I found this blog in a round about way. I was doing some historical research on the izakaya (Google, if you enter “izakaya history”, will return a time line, among other things) and in the process, saw Zack Davisson’s review on Amazon of Mark Robinson’s cookbook. I found the review to be well written and impressive (I’ve ordered the book as well). Zack’s coverage of Japanese topics was too extensive for him not to have another outlet for his skills. With a little digging, I found the author’s blog and a blog based review of “Izakaya: The Japanese Pub Cookbook”. This is the kind of article I hope for in a blog, something heart felt and based on personal experience. Looking at the rest of the blog betrays interests from high culture to low, from novels and literature to the simplest pop phenomena. The author of the blog lived in Japan and claims a master’s in Japanese studies. As such, this kind of eclectic resource isn’t to be missed, for those of us curious about the history of food. Right now, Zack’s experience is totally on point as the “izakaya craze” expands to Atlanta and beyond. There are certain books that are useful (e.g. Chilton’s Total Care Care Manuals), certain books that are entertaining (e.g. The Girl with the Dragon Tattoo), certain books that are, at times, profound (Studs Terkel, in The Good War, interviewing Hans-Jürgen Massaquoi), and then there is the rare masterpiece that manages to be entertaining, informative, and profound. Nigiri-zushi is representative of Tokyo food. The reasons for this might relate to the fact that Tokyo – or Edo as the city was known before 1868 – is situated on a bay that was once rich in seafood of all kinds. No doubt influenced by the bountiful catch of their wide, placid bay, the people of Edo always knew the taste of truly fresh fish and craved it. There are very few pictures but plenty of diagrams, and I love the functional simplicity of the line drawings in this book. Simply put, this would have to be on my short list of books to be left with on a desert island. For most of the Japanese nothing can replace enjoying plain, hot rice with tsukemono and dinner is not complete without it as the final course. There are lots of pictures, visual step by step instructions on how to make various Japanese pickles, and if you’re at all acquainted with the topic, then you know that pickles aren’t just made with vinegar in Japan. I liked the book, whose focus is getting the reader to be able to make pickles.. utilitarian, in other words. The final choice isn’t so much a cookbook as a history of food in Korea, and was an attempt to find something covering Korean cuisine that was as good as Shizuo Tsuji’s text. Nonetheless, “Korean Cuisine: An Illustrated History” by Michael J. Pettid also does have 23 pages of Korean recipes at the end. I like this book, though at times reading it feels a little overwhelming. I tend to think though, with the explosion of Korean food throughout Gwinnett County and the Buford Highway region of town, it was time to learn something. Haru Ichiban is on the southeast corner of the intersection of Pleasant Hill Road and Satellite Boulevard, a bit south along Satellite, facing west from the strip mall that lies along the south of Pleasant Hill. It’s a bit hard to find, and a little inconspicuous. There is nothing on the outside that says this is a great place to have Japanese food. Once inside, however, you can see the excellent review they received in 2000, the Zagat rating, the Atlanta’s top 50 ranking. You can see the long clean sushi bar, you can see the Japanese waitresses, the Japanese cooks, and the largely Japanese clientele that come to this restaurant. 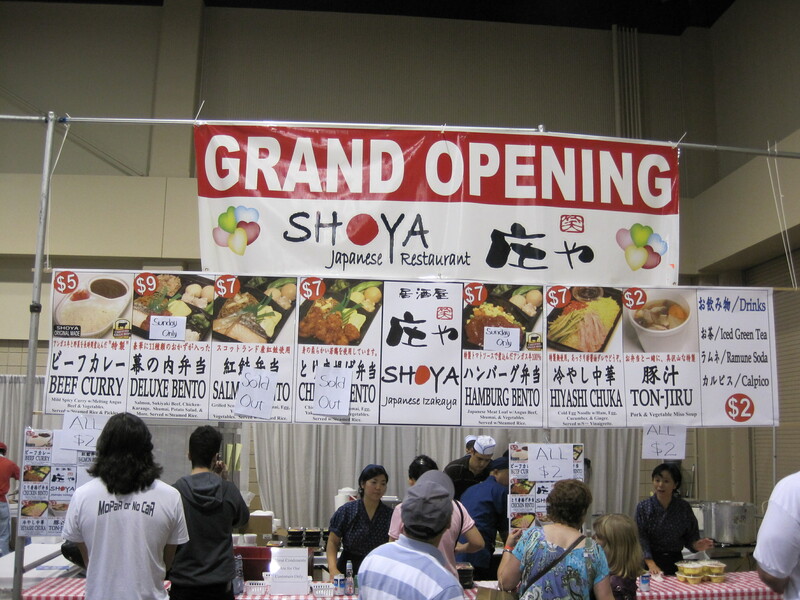 My first exposure to Japanese food on a regular basis came on the island of Guam, which is a popular Japanese tourist destination. My favorite Japanese haunt there was the Yakitori II, a restaurant specializing in yakitori that sat on the edge of the harbor of Agana and had glass on three sides, so you could see out into Agana Bay while you ate. The bay is shallow, shallow enough that you could watch people spear fish while you were eating. The visual experience, particularly at sunset, was phenomenal. The culinary experience was that Japanese food need not be expensive, or so sophisticated the cuisine was the out of reach of an ordinary person. While in Guam I met my wife, who is half Chamorro, half Japanese. My mother in law is full blooded Japanese, and yes, when I find a restaurant and my whole family is visiting, I have to please them both. The place I go to most often is Haru Ichiban, because it’s just more authentic than most restaurants in Atlanta. Just how authentic is Haru Ichiban? It should be understood that the order and presentation of food in a traditional Japanese meal is not the same as a western meal. Most Japanese restaurants in the United States follow a western format. Gone is the central place of rice, gone are the pickled vegetables (tsukemono), gone is the floor seating. Instead you are likely to be served a salad with a traditional dressing, followed by miso soup, then followed by an entree, and then dessert if so desired. Whether the waitress is in a kimono or not doesn’t change the essentially western character of the presentation of the food. In this respect Haru Ichiban is no exception. By authentic, in this context, I mean that Hari Ichiban serves a broader variety of foods than a common hibachi (Benihana style) restaurant. This popular kind of steakhouse will specialize in grilled meat and shrimp served teppanyaki style, along with tempura and teriyaki steak and chicken, and fried rice. An overwhelming number of Japanese restaurants are serving just these dishes. When I go out to eat, I’d prefer to see something a bit more sophisticated than fried rice. And in this respect Haru Ichiban does succeed. Appetizers do include yakitori. They have a variety of udon and soba dishes, a variety of ramen dishes, a number of sushi and sashimi specials. If my wife wants tonkatsu (breaded pork), she can have tonkatsu. If she wanted donburi, she could have donburi, even unagi (BBQ eel) don if she wanted. These by the way, are the lunch dishes. There is a much larger variety of food at dinner, and as Haru Ichiban has changed their menu recently, I won’t speak of what can be found at dinner. The lunch menu is considerably expanded. Lunch specials have been reordered and renamed. The old “Crazy Tuna Special” is now the special tuna combination. I’ve always liked it, more so when I get the spicy tuna roll. I recently had their chirashi don, a simple sushi where a bowl is half filled with chirashi rice and a variety of sashimi are placed on top. It was pretty, from the deep red of tuna to the light yellow of a slice of egg, to the pale colored ginger they favor here. Nigiri sushi slices are thick. There is none of this 95% rice, 5% fish stuff going on here. I’ll note that a good number of the Japanese patrons seem to have sushi at lunch, though in all honesty, they’re usually more creative with what they eat (a lot more ribbon sushi, for example). The ramen this restaurant serves is quite special, as anyone who attends JapanFest can attest to. Haru Ichiban usually has a booth there, serving ramen and they run out quickly. My personal favorite is their seafood ramen, served sio (salt) style. Sio style implies the use of a chicken broth, as opposed to soy. If there is one complaint I can make about Haru is that their soy based noodle flavoring can be too strong sometimes. But the seafood ramen with sio style sauce is light, and the tiny purple octopus that are found in the ramen are just delightful. Take home? Very good Japanese food, more authentic than most. It’s the one Japanese restaurant on the northeast side of Atlanta I dare take my Japanese mother-in-law. Highly recommended, for both lunch and dinner.